Have you already met the frogs? These friendly, little amphibians will be hopping around the swamp biome once Final Beta has launched this summer. With our team set on re-creating the world of Albion, it is clear that mob-creation also plays a part in this. You can’t have rabbits prancing around in a swamp, now, can you? So the art department joined forces with the game designers to create a list of mobs to be made per biome. Surprisingly, frogs were not on the list, as the Tier 1 mob for the swamps was originally supposed to be a toad! Once it was decided a toad had to be created, our Art Director Marcus Koch started making the 3D model. He does not use a concept art for simple mobs and instead makes the model right from scratch. Since he knows exactly what he is doing, this saves a lot of time. It was also during this step that the toad idea transformed into a beautiful frog. When Marcus finished his part, he ended with a gorgeous (but static) colored 3D model of the frog. When Marcus is satisfied with his model, he sends it over to Ulrike for rigging and skinning. This means she will create a functioning skeleton for the frog. First, she starts by adding joints and bones. The more complicated a mob, the more bones they usually have. For comparison: the frog has a mere 12 bones, while a demon boss has over 50. During this process, it is possible that some small changes are made to the original model. Usually these are very minor modifications, however the frogs are an exception: in the original model, they had their feet hanging down. Once Ulrike was done with them, their feet were comfortable on the ground. After the bones and joints are set, it is time to attach them to the skin. This will determine how the model is affected by the skeleton. This is very important for the animators, as bad skinning can lead to very awkward deformations. When passing by Ulrike’s desk, you’ll often see her putting mobs in wonky positions, just to make sure the skinning all makes sense. The model is ready to be brought to life, through animations! The talented Alexandra created all animations for the frog, including the adorable death animation. In this, the frog jumps up and does a backflip before lying dead on the ground, his belly exposed. 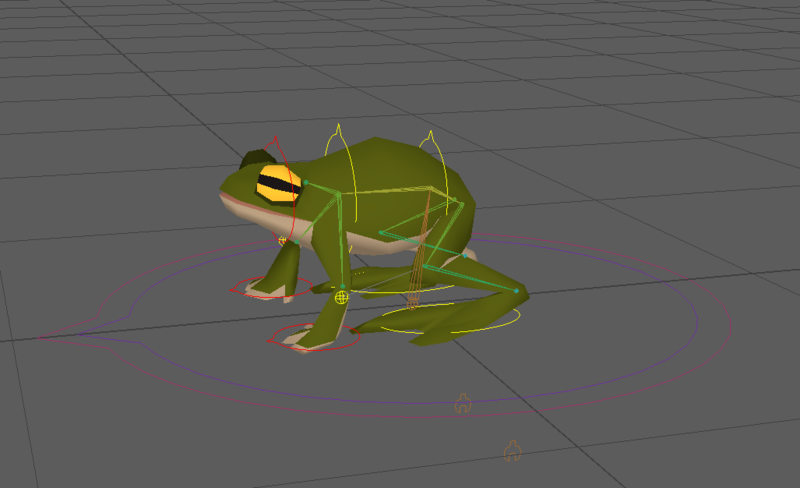 The frog looks great, animations are done, so now it’s time to make sure everything is perfect. Artists and game designers work together to actually get it implemented into the game. Ulrike decides when it will use which animation, while game designer Michael decides on the gameplay-relevant characteristics such as Health Points. Sounds are added as well, and usually this is also the time FX comes in to play as well. However, the frog being a cute and simple mob, there was no need for the latter. Even the simplest of mobs take time, and a lot of work goes into them as the team makes sure their work is perfect every step of the way. “No one can do it alone,” Game Designer Michael commented while explaining the process, hitting the nail on the head. 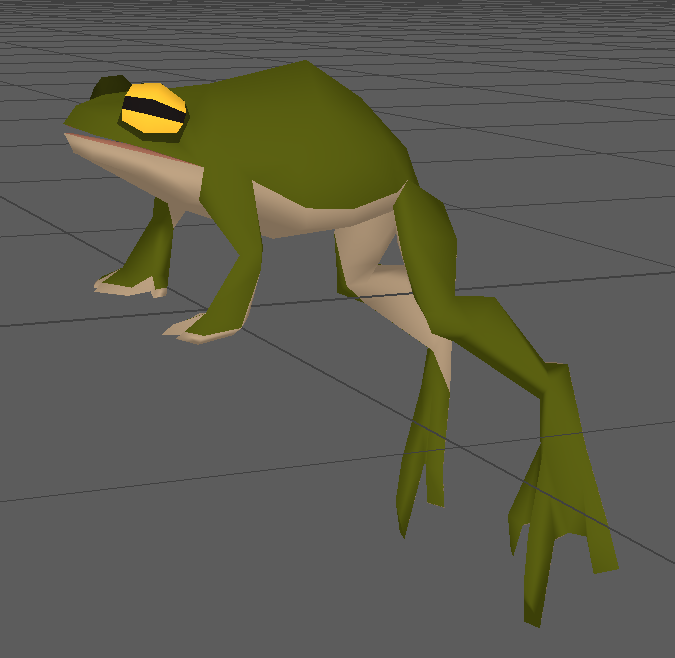 Are you excited to see the frogs in game? Did you like this look behind the scenes? Let us know in the comments below!